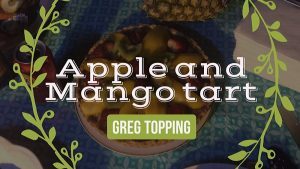 Here is an easy and delicious Apple and Mango Tart cooked in the camp oven. 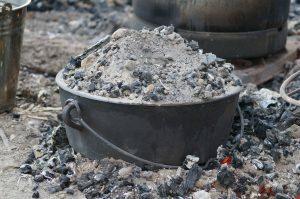 Just about anything can be cooked in the camp oven! Process flour, sugar, butter until mixture resembles fine breadcrumbs. Add the egg yolks and chilled water. Mix until the dough just comes together. Turn dough out onto a floured board, knead gently until smooth and shape into a disc. Cover and refrigerate for a couple of hours. 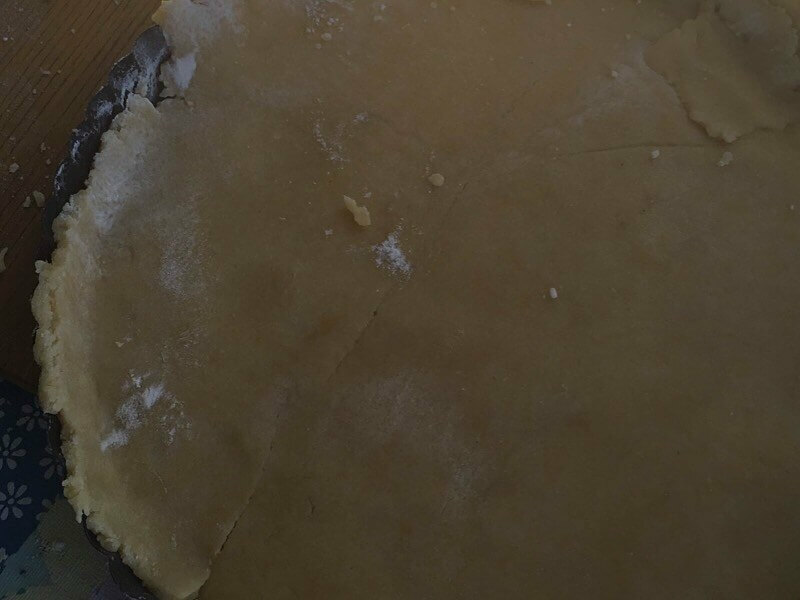 Put baking paper on your working bench as it is easier to flip the pastry straight into the flan dish. Roll out required the dough to 5 mm. Grease a 26×3 cm flan dish and place dough into a dish, cover with cling wrap and return to fridge for 1 hour. 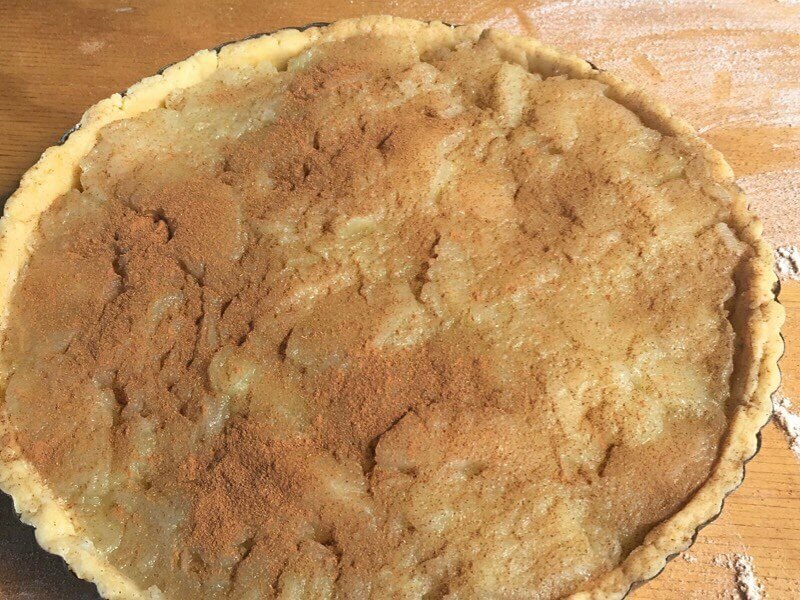 Put the tinned apples into pie case and sprinkle with the cinnamon. 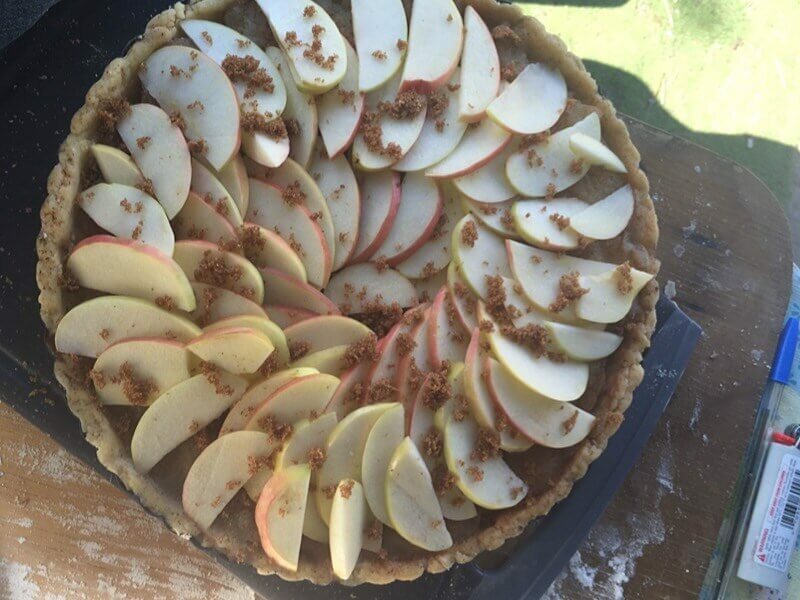 Cut the pink lady apples finely and starting from the middle make your way around to the pastry layering them all the way sprinkle with a bit more cinnamon. Place back in the fridge. 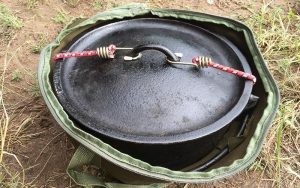 Heat up a camp oven to 180 c, I used a 12-inch camp oven with a trivet in the bottom and a diffuser under the camp oven as you need low bottom heat for this dish. 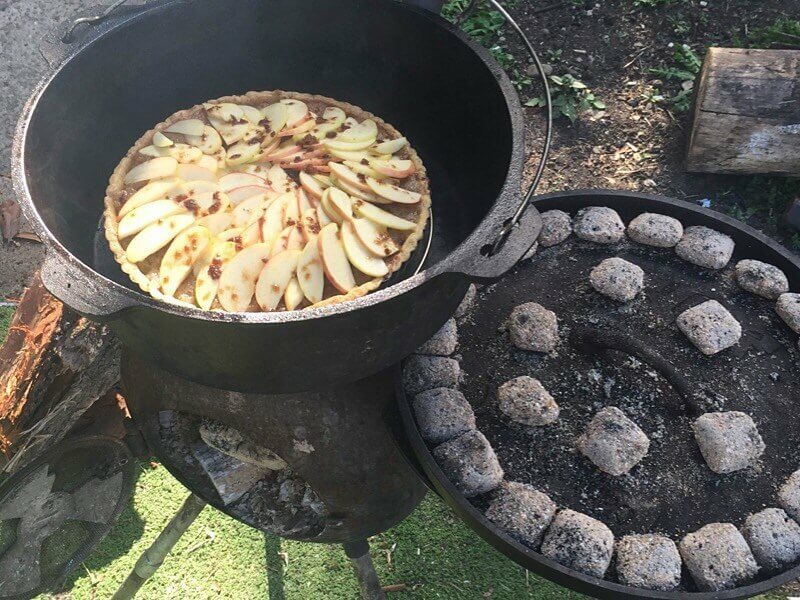 Place the Apple and Mango Tart into the camp oven and put 16 heat beads on top of the oven. 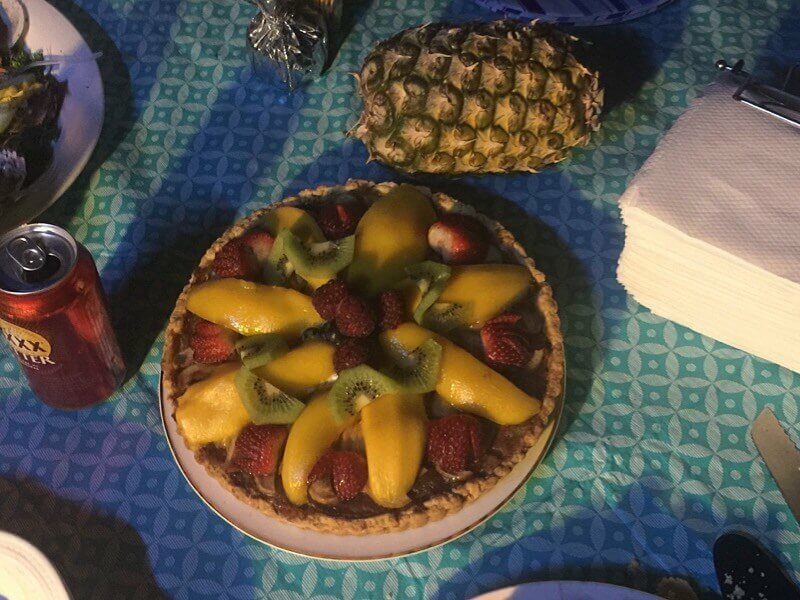 Cook for 45 min or pastry is cooked through, let cool then decorate the top of tart with whatever you wish. Decorate with your favourite fruit; I used mango, raspberry, kiwi fruit, blueberries. 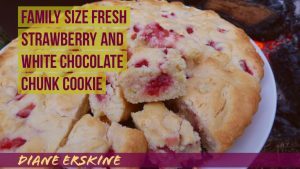 This can be served hot or cold and is great with ice cream or custard, enjoy! 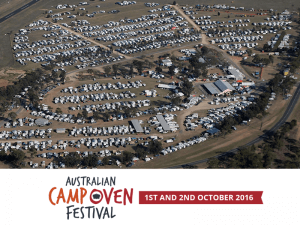 Check out more fantastic recipes and photos on our Facebook page!